How residents of Indiana became known as Hoosiers has been debated at length and researched in great depth. Jacob Piatt Dunn, Jr., was the first individual to pursue a serious etymological study into the word. Dunn explored numerous conjectures regarding the origin of the word Hoosier, but he also was unable to definitively pin its provenance to any particular theory. Dunn reported that his investigation found two common elements among the various theories concerning the origin of the word. First, Hoosier implied that residents from Indiana were considered "rough, boisterous, uncouth, and illiterate." Second, the word seemed to have originated in the southern United States and was initially used to characterize southern people. A new theory concerning the origin of the word Hoosier was proposed this year . In her article published in the Indiana Magazine of History, Barbara B. Roberts anecdotally traces Hoosier to the northwest highlands of Scotland. She writes that a tribe in this particular region of Scotland was known as "The Hoosier Tribe," and that this group was known as being "utterly ruthless, untamed, wild, raucous, and unpredictable with no rules or restraints or respect for other tribes." Roberts speculates that if this tribe was fairly well known in the British Isles, then the term may have made landfall in North Carolina and found its way into common usage in the early nineteenth century when a large number of North Carolinian's migrated to Indiana. Nearly every researcher investigating the origin of Hoosier agrees that Robert Finley widely popularized this word to represent a resident of Indiana when his poem titled "The Hoosier's Nest" was first published in the January 1, 1833, issue of the Indianapolis newspaper Indiana Journal. One persistent theory is that the inspiration for Finley's poem was an inn located in Porter County, Indiana. Hence, according to the individuals proposing this theory, Porter County played a significant role in popularizing the word Hoosier and making it a component of the American language. 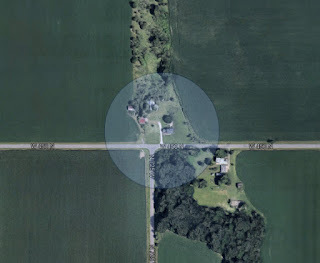 Located in Union Township just north and east of the T-intersection of County Roads 450 North and 725 West is one of the earliest named places in Porter County - Hoosier's Nest. Hoosier's Nest was an inn situated along the Old Joliet Road, which itself followed the Native American's Sac Trail. The inn was adjacent to Pepper Creek. It was one of the few places in Northwestern Indiana that a traveler could spend a night, purchase a meal, and obtain alcoholic beverages. 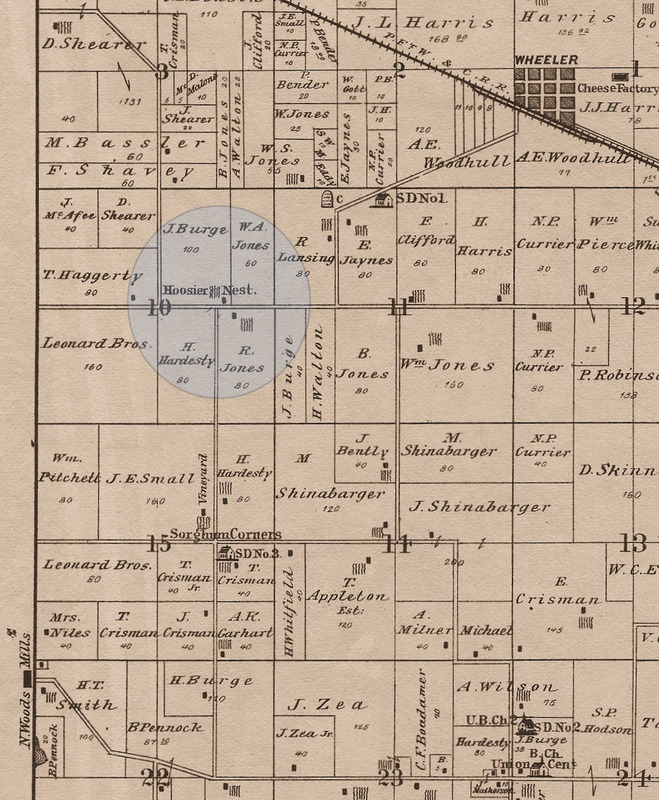 The area soon became a population center during Porter County's formative years. in Union Township. Porter County, Indiana (yellow dot). 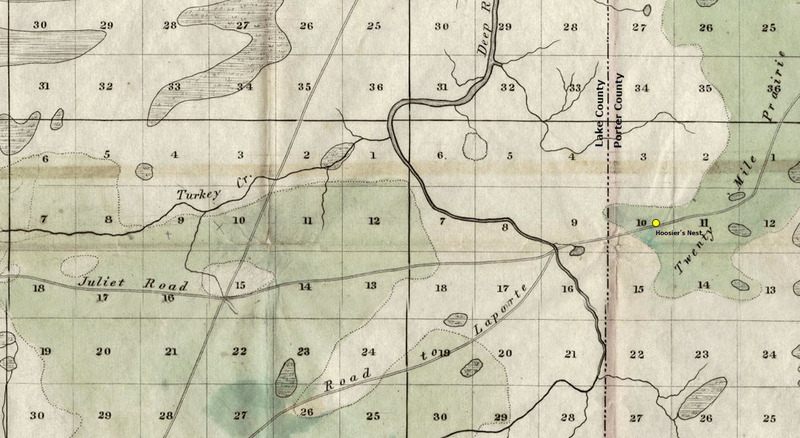 Source: Solon Robinson's Descriptive Maps of Unsold Lands, 1838. Oliver Shepard domiciled in the store of Thomas Snow who had settled in the Hoosier Nest in Union township about 1835, on the old Soc trail. The Nest was at that time quite a town as Mr. Snow had built there one of the first frame houses in the County, getting his lumber in LaPorte County. Messrs. Forbes -- father of Elder Forbes of Valparaiso -- and Magee lived at this place about this time, or perhaps later. Sixty years later, on August 18, 1936, The Vidette-Messenger published a detailed history of Union Township in its massive Porter County Centennial Celebration edition. The first location mentioned under the subheading "Places of Historical Interest" in this column is Hoosier's Nest. 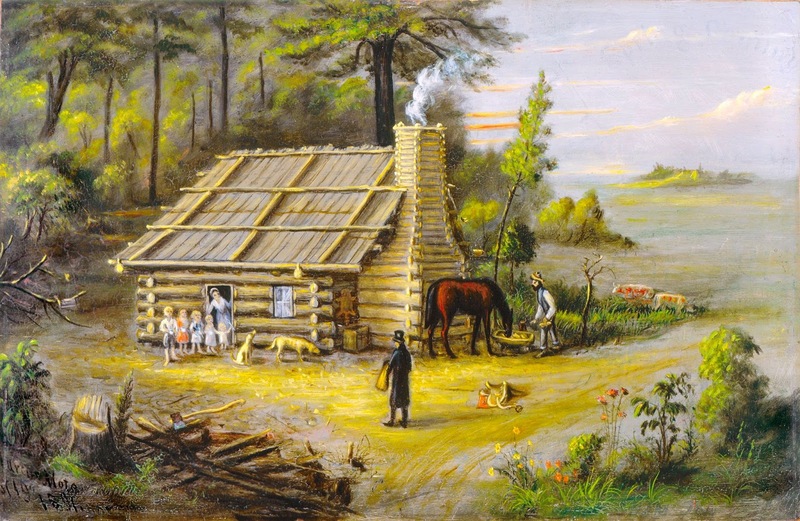 Thomas Snow settled in the Hoosier Nest in Union township about 1835. The nest was on the Old Sac Trail, and was quite a town then, as Mr. Snow had built there one of the first frame houses in the county. In 1837, Oliver Shephard, of Connecticut, purchased a store there. Being a "Down-Easter," he thought it would be appropriate to put up the sign "Hoosier's Nest." This could not fail to attract the wayfarer. Soon it was known five hundred miles in any direction. Thus the Hoosier Nest received its name. At present the Hoosier Nest is owned and occupied by Edward Mankey. Who was Thomas Snow? Thomas Jefferson Snow was born at West Bridgewater, Plymouth County, Massachusetts, February 21, 1802, the son of Jonathan and Huldah Snow. Thomas would wed Caroline Wilbur. On September 9, 1834, a son, Coryden Proctor Snow, was born to Thomas and Caroline at Boston, Suffolk County, Massachusetts. Another son, Herman Wilbur Snow, was born at Michigan City, LaPorte County, Indiana, on July 3, 1836. Given these dates of birth, it appears that the Snow family migrated to Indiana from Massachusetts in 1835, eventually settling in what would become Union Township in Porter County. Not much known about the lives of Thomas and Caroline Snow. It is known that they did not reside long in Indiana. Snow sold his inn and store in Union Township to Oliver Shepard in 1837, possibly due to the financial panic that was sweeping across the nation at that time. It was Shepard who reportedly bestowed the name Hoosier's Nest to the Union Township inn. Soon after selling their Porter County property, the Snow family can be found residing in Madisonville, Hopkins County, Kentucky. The family would later move to Christian County, Kentucky, where Thomas was employed as a school teacher. 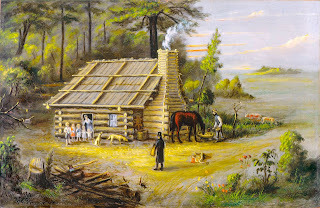 Thomas and Caroline would move once again, this time to Peoria, Peoria County, Illinois, in late 1850 or early 1851. Thomas passed away at Peoria on October 6, 1851, and was interred in Springdale Cemetery in that city. 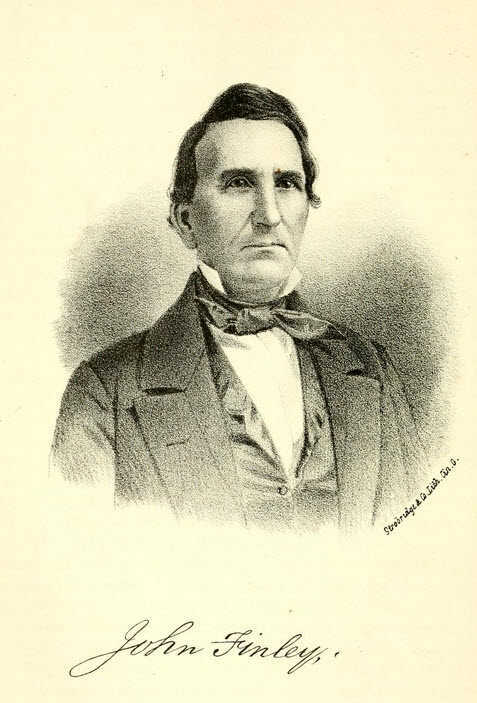 Herman Snow, Thomas' son, enlisted as a private in the 139th Regiment of the Illinois Volunteer Infantry to serve in the Civil War, eventually rising to the rank of Provost Marshal General. Herman would later serve in the Illinois House of Representatives from 1872 to 1874, and was elected to the United States House of Representatives, serving from March 4, 1891, to March 3, 1893. General Land Office records indicate that on March 30, 1837, Reason Reed and Jacob Haas received patents for the land on which this Porter County inn was located, and thus were the original title holders to the land. These two land patents were granted after Snow had established the inn. It is possible that Reed and Haas were land speculators and soon sold their real estate to Snow upon obtaining their land grants from the federal government. Alanson Green followed Shepard as owner and operator of Hoosier's Nest, and Green was succeeded by a Mr. Peters (possibly Levi Peters or Orson Peters). Green would later operate a tavern and inn in Tremont near the Indiana Dunes; Green's Tremont inn was a safe house on the Underground Railroad prior to the Civil War. Jeremiah Burge was the next owner of the property occupied by the Hoosier's Nest inn. Burge discontinued the inn as a business and converted the structure into a horse barn. Burge also constructed brick home in front of the former hostelry. In 1845, Jeremiah Burge sold Hoosier's Nest and moved to Chautauqua County, New York. 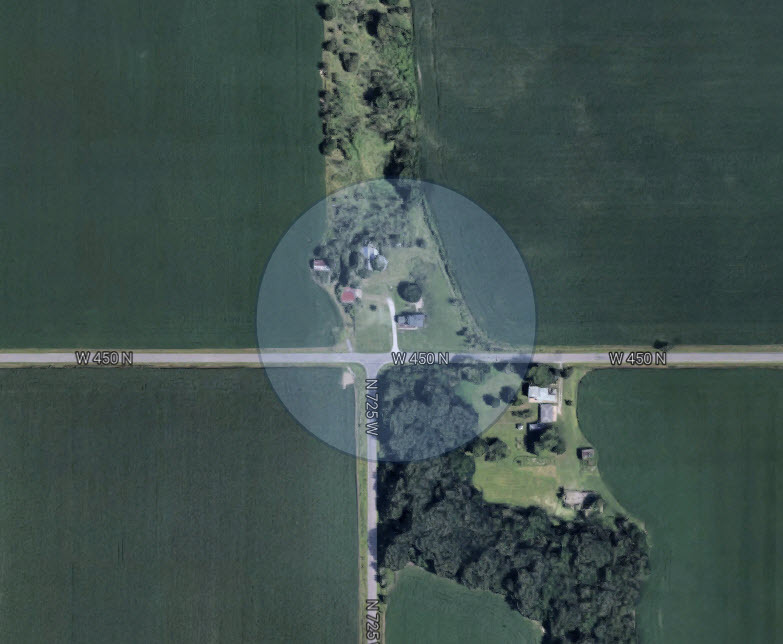 He would move back to Porter County with his family in 1851 and reside on a farm at Hickory Point, southwest of his previous Porter County residence. 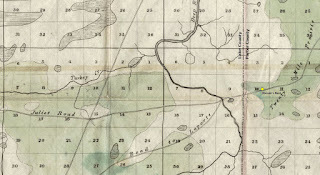 1876 plat map of Union Township showing Hoosier's Nest in Section 10. Source: A. G. Hardesty's Illustrated Atlas of Porter County, Indiana, 1876. An 1895 plat book reveals that William Henry Harrison Burge, Jeremiah's son, was owner of the former Hoosier's Nest property at that time. Burge would own the 100-acre property for many years before selling it to Frank Grozier (possibly Crozier) on July 31, 1919, for $32,000. Grozier then sold the property to Edward Mankey. The Hoosier Nest is one of the historical places of Porter county. I do not know who built it or run it at first, but I do know that for some time it was a stopping place for travelers who were passing through this county on their way to the far west. For a time it bore a bad reputation, and the finger of suspicion pointed to it as the scene of a murder. However, nothing was ever proved. The graves referred to by Burge are believed to be those of Mr. Peters, his two wives, and a son-in-law according to information in the Union Township cemetery index published by the Northwest Indiana Genealogical Society, as well as in Goodspeed and Blachard's 1882 history of Porter County. Goodspeed and Blanchard wrote that the inspiration of John Finley's famous poem "The Hoosier's Nest," which was eventually copyrighted in 1866, was based on Porter County's Hoosier's Nest inn. This is incorrect, and it is much more likely that the inn was named after the poem. As indicated previously, Finley's poem predates Snow's construction of the inn by at least three years. representation of John Finley's poem of the same title. Mote initially painted this scene circa 1844 and reworked it in 1891. A time honored question for debate in Indiana has always been "How did the name Hoosier become applied to the residents of this state?" The belief given the most credence was that it originated in southern Indiana, where the usual greeting between friends was, "Whose yer friend?" It has developed, however, that a poem written by one of the original settlers right here in Porter county first resulted in the word "Hoosier" first becoming applied to residents in Indiana. Contrary's to Collier's statement, John Finley never resided in Porter County. Finley was born on January 11, 1797, and moved to Indiana in 1821. He became a Justice of the Peace in Wayne County, Indiana, in 1822 and represented Wayne County in the State Legislature from 1828 to 1831. Finley was editor of the Richmond Palladium newspaper from 1833 to 1837, which embraces the time period in which he wrote "The Hoosier's Nest." In 1837, Finley was elected to the position of Clerk of Wayne County Courts. He was elected as Richmond, Indiana's second mayor in 1852, a position he held until his death on December 23, 1866. The famous old Hoosier Nest, southwest of Wheeler, was sold yesterday by Henry Burge to Frank Grozier, of Chicago. The consideration was $32,000 or $1200 per acre. It was this farm that is said to have inspired John Finley, the Hoosier poet, to write the poem, "The Hoosier Nest." Finley visited this section in the early days and spent the night in the old tavern, then the only frame building in the county. While it is certainly possible that John Finley may have stayed at The Hoosier's Nest in Porter County, there is no evidence suggesting that Finley was inspired by the Union Township inn when composing his poem. And, again, the poem predates the Porter County inn's existence by at least three years. Perhaps John Finley's purported stay at the inn inspired Oliver Shephard to formally name the inn The Hoosier's Nest? Aerial view of present day location of Hoosier's Nest. John Finley, who hailed from Virginia with a faithful horse, a trusty rifle and a worthless $50, is said to have written his famous poem, "The Hoosier's Nest," on the Sac Trail, established by Thomas Snow, in Union township, in west Porter county. From the time of the publication of the poem the name Hoosier has been left to Indiana people alone. On April 14, 1956, a story about Hoosier's Nest written by The Stroller, the nom de plume of William O. Wallace, was published in The Vidette-Messenger. Like many of his columns, Wallace would fabricate facts, or "legends" as he often referred to them. These concocted facts were very likely added by Wallace to embellish his stories and make them more appealing to the newspaper's subscribers. His tale in this particular column concerning Hoosier's Nest in Union Township is fictitious and rife with falsehoods. However, Wallace did not attribute John Finley's poem to this Porter County inn. Lithograph of John Finley, author of the poem The Hoosier's Nest. Four or five years after the Massacre, Ft. Dearborn was rebuilt and a few daring settlers followed the indistinct Ft. Wayne-to-Ft. Dearborn trail - called the Army Trace. They were enroute to Chicago to go into the Illinois prairies where new lands were being made available to settlers. At a place where this Trace crossed the Old Sac Trail in Union township some unnamed individual built a log cabin intended as a roadside Inn for those first travelers. It was at a site afterward called Hoosier's Nest. The old story is that this unknown individual killed a traveling family, buried the bodies in a marsh, and took the team, wagon and outfit and went to the Illinois prairies himself. This, too is of the legend variety. Despite what was published, there is no known evidence that exists to suggest that a murder ever took place at Hoosier's Nest. The Stroller's (William O. Wallace) suggestion of a murder is in all likelihood untrue, which is qualified to a degree by his statement that the murder "is of the legend variety." More recently, in 2006, The Times published a column speculating that the moniker Hoosier may have been popularized by John Finley's poem "The Hoosier's Nest." The writer states that Finley's poem was published in 1866 and attributes Union Township's inn as Finley's inspiration for the poem. Again, neither of these facts, the year of publication and the inspirational source, is correct. John Finley's poem "The Hoosier's Nest" was first published as a New Year's address by the Indiana Journal on January 1, 1833, which predates the establishment of the inn by Thomas Snow in 1835. Finley would later publish a book comprising several of his poems in 1866 under the title The Hoosier's Nest, and Other Poems. While somewhat romanticized claims about Union Township's Hoosier's Nest inn continue to persist with regard to its contribution to Finley's poem and the popularizing of the word Hoosier to describe Indiana residents, Porter County likely had nothing to do with either. And although writers have tinted the glass concerning Hoosier's Nest inn, it does have significance with regard to Porter County history. The inn led to the genesis of one of Porter County's first permanently settled communities. 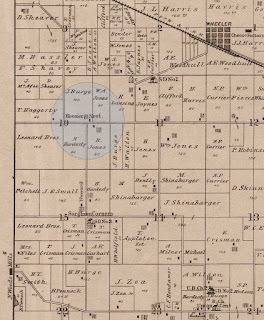 And one of the first frame residences in the county was built here, moving Porter County from a squatter's log cabin frontier toward a region of modern settlement that would attract additional pioneers. Attuned "to tickle ears polite;"
The brow of labor to beguile. The tangled threads of thought he spins. In poetry or prose, or rhyme? Shall unborn ages her disclose! Be disinterred from dark repose! Shines twinkling on her own domain. Yes, land of the West! thou art happy and free! Or a tree of thy forests shall tower in pride. May make a Paradise on earth. At tourists of "the sear-girt isle,"
Like Basil Hall or Mrs. Trollope. And dazzle our astonished eyes. And in a month he runs away. The bone and sinew of the State. Make emigration quite a trifle. His edifice is then complete. Adorn his wooden chimney's summit. Find out a truly happier man. And instinct to subdue the land. The stamina to make the great. I trust you'll find her somewhat graphic. Just big enough to hold Queen Mab in. He hailed the house, and then alighted. Their situations soon were o'er. He fed him in a sugar-trough. Seemed much inclined to keep their places. And cuffed the youngsters up to bed. And glances 'round the room would steal. With specimens of Hoosier life. Are bred in sic' a way as this is." Finley, John. 1866. The Hoosier's Nest, and Other Poems. Cincinnati, Ohio: Moore, Wilstach & Baldwin. 105 p.
Fischer, David Hackett. 1989. Albion's Seed: Four British Folkways in America. New York, New York: Oxford University Press. 972 p.
Nicholson, Meredith. 1900. The Hoosiers. New York, New York: The MacMillan Company. 277 p.
Northwest Indiana Genealogical Society. 1994. Union Township Cemeteries, Porter County, Indiana. Valparaiso, Indiana: Northwest Indiana Genealogical Society. Skinner, Hubert M. 1878. Complete History of Porter County, Indiana. Valparaiso, Indiana: Valparaiso Messenger (published January 15). Blakey, George T. 1999. Stalking the Elusive Hoosier's Nest. Traces of Indiana and Midwestern History 11(3):4-13. Dunn, Jacob Piatt, Jr. 1905. Origin of the Word Hoosier. Indiana Magazine of History 1(2):86-96. Piersen, William D. 1995. The Origin of the Word "Hoosier": A New Interpretation. Indiana Magazine of History 91(2):189-196. Roberts, Barbara B. 2016. Where Did the Word "Hoosier" Come From? Indiana Magazine of History 112(2):116-119. Short, Oscar D. 1929. Origin of the Term "Hoosier." Indiana Magazine of History 25(2):101-103. Smith, Jonathan Clark. 2008. New Findings on the Earliest Written Uses of "Hoosier." Indiana Magazine of History 104(3):293-295. Indiana State Journal, Indianapolis, Marion County, Indiana; January 3, 1850; Volume 9, Number 30, Page 1, Column 6. The St. Landry Democrat, Opelousas, St. Landry Parish, Louisiana; June 14, 1884; Volume 7, Number 23, Page 1, Column 3. Column titled "Origin of 'Hoosiers.'" The Indianapolis Journal, Indianapolis, Marion County, Indiana; February 12, 1893; Page 10, Columns 3-4. Column titled "About the Word Hoosier. The Indianapolis Journal, Indianapolis, Marion County, Indiana; December 27, 1903, Volume 53, Number 361, Part 3, Page 7, Columns 1-2. Column titled "The Hoosier as Known in 1839." The Vidette-Messenger, Valparaiso, Porter County, Indiana; August 1, 1929; Volume 3, Page 3, Column 4. The Vidette-Messenger, Valparaiso, Porter County, Indiana; March 20, 1930; Volume 3, Page 7, Columns 4-5. Column titled "Here's What Your Neighbors and Friends are Saying and Doing as Told by the Traveling Reporter: Odds Bits of Facts and Gossip for the Vidette-Messenger Reader Family," by Al Collier. The Vidette-Messenger, Valparaiso, Porter County, Indiana; August 1, 1934; Volume 8, Page 4, Column 6. The Vidette-Messenger, Valparaiso, Porter County, Indiana; August 11, 1934; Volume 8, Page 1, Column 4-5, and Page 8, Columns 4-5. Column titled "Siftings: Gleaned from Hither and Yon -- and Now and Then -- and Way Back When," by A. J. Bowser. The Vidette-Messenger, Valparaiso, Porter County, Indiana; September 24, 1934; Volume 8, Page 1, Column 4-5, and Page 8, Columns 1-2. Column titled "Siftings: Gleaned from Hither and Yon -- and Now and Then -- and Way Back When," by A. J. Bowser. The Vidette-Messenger, Valparaiso, Porter County, Indiana; August 18, 1936; Volume 10, Section 2, Page 5, Columns 6-8. Column titled "There's [Sic] Many Ideas on How Citizens of Indiana Came to be Known as 'Hoosiers.'" The Vidette-Messenger, Valparaiso, Porter County, Indiana; May 2, 1938; Volume 11, Page 1, Column 2. Column titled "Death Takes Oldest Porter County Native. Wm. H. H. Burge of Wheeler is Dead, Aged 97." The Vidette-Messenger, Valparaiso, Porter County, Indiana; April 14, 1956; Volume 29, Number 241, Page 1, Columns 2-3, and Page 5, Column 1-2. Column titled "Union Township Described By Stroller As Being Ideal," by The Stroller (William O. Wallace). The Vidette-Messenger, Valparaiso, Porter County, Indiana; March 1, 1960; Volume 33, Number 202, Page 1, Columns 4. Column titled "Inn County Landmark At One Time," by The Stroller (William O. Wallace). The Vidette-Messenger, Valparaiso, Porter County, Indiana; May 6, 1963; Volume 36, Number 258, Page 6, Column 4. Column titled "Deaths - Edward Mankey." The Vidette-Messenger, Valparaiso, Porter County, Indiana; October 11, 1966, Volume 40, Number 84, Section 2, Page 11, Columns 1-2. Column titled "What Is Origin Of 'Hoosier?'" The Times, Munster, Lake County, Indiana; June 30, 2006; Column titled "Wheeler's Hoosier's Nest Might Account for Moniker's Popularity, " by Susan O'Leary. Another myth busted...what a shame! Nice investigative article, though.